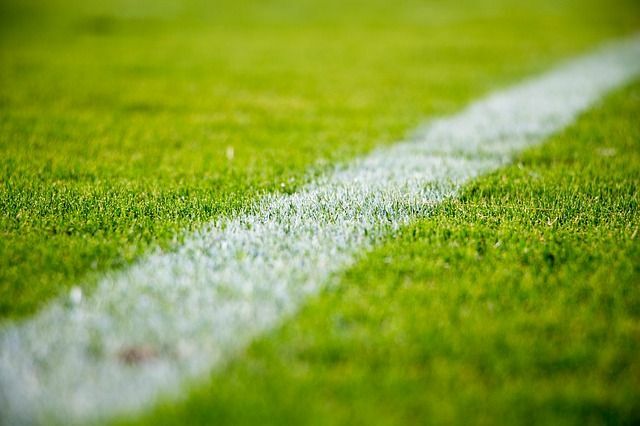 The recent publication of Deloitte’s Football Money League and UEFA’s club licensing report offers a fascinating chance to assess the commercial state of European football. I highlight 5 key takeaways below. Since the days of Real Madrid’s Galacticos, there has been a recognition that marquee signings have the ability to boost clubs’ revenue. Whilst this belief may often be centred on the misunderstood shirt sales argument, the influence of social media has only enhanced a player’s value to a club’s commercial strategy. As shown in the Deloitte Football Money League, Neymar Jr and Kylian Mbappe not only brought success on the pitch for Paris St. Germain but also helped to boost commercial revenue by 14% ($39.2m). It is no coincidence that these two players are amongst the most followed on social media, with clubs able to leverage engagements on such platforms to strengthen their negotiating power with commercial partners. 2. A challenge to the Premier League’s crown? With 13 clubs in the top 30, a quick look at the Deloitte Football Money League suggests the Premier League’s title as the most profitable league is safe for years to come. However, La Liga’s recent efforts to boost the league’s commercial strength beyond Barcelona and Real Madrid is starting to pay off with four clubs in the top 30 for the first time since the 2012/2013 season. A number of factors suggest that Spanish clubs may have an increasing presence in years to come. For example: La Liga’s efforts to build its brand internationally (opening offices in countries such as the US, Nigeria and Dubai and attempting to get a regular season game played in the US); the guarantee of four Champions League places from the 2018/2019 season; a new collective strategy of selling media rights; and the Premier League's lack of revenue increase in its selling of the next broadcast rights cycle. However, it will be interesting to see whether Amazon’s dipping of its toes in the live broadcast of Premier League games leads to increased competition and revenue for the Premier League in the following broadcast rights cycle. 3. A European Super League? For many, the inability of the Premier League to increase its revenue with the next broadcast rights cycle shows that the cost of premium live sports rights has reached a plateau. This conclusion may be premature given the growth of OTT broadcasting. However, it may lead the major European clubs to demand more contributions from UEFA with the threat of a breakaway European Super League. The heads of terms agreed between 11 elite European football clubs that was leaked towards the end of 2018 is a continuation of a saga running since the 1990s. Cynics will say it’s an empty threat which has been used in the past to gain more concessions from UEFA. The tenth edition of the UEFA Club Licensing Benchmarking report revealed the importance of gambling sponsorship to European football. In fact, gambling and betting firms are now the most common source of shirt sponsorship in ten European leagues. Gambling advertising has become a much-politicised issue across Europe. For example, in Italy, a complete ban on gambling advertising and sponsorship has been announced and in the UK, the Industry Group for Responsible Gambling announced a voluntary “whistle to whistle” ban on TV advertising during sports matches pre-watershed. If the movement against gambling advertising continues, clubs’ commercial revenue could be hit hard. The headline from UEFA's report was that the 710 top-division clubs together generated the first bottom-line profit in history. For some, this is proof of the success of the Financial Fair Play (“FFP”) regulations put in place by UEFA. Indeed losses have been cut every year since the introduction of FFP. To a large extent, its effectiveness depends on the deterrence of the punishment, which is why the football world awaits with interest the conclusion of high profile investigations into Paris St. Germain and Manchester City. Whilst FFP has led to a financial turnaround of European clubs, for some its rules have also entrenched the status quo. This seems to be reflected in that fact that 30 clubs out of 710 make half of the revenue generated by European clubs. Whilst the weakening of the pound may have dampened wage growth in the UK, English clubs in the Europa League are still able to pay similar wages to Champions League clubs from Germany, Italy and France. Even within the Premier League, there is great disparity in wage bills. Manchester City and Tottenham Hotspur may be close competitors for the Premier League title, yet City’s wage bill for the 2017 financial year was more than double that of Spurs. UEFA President Aleksander Čeferin alludes to the financial disparity across European football in his introduction to the report, stating that it is essential stakeholders “work together to keep football strong up and down the pyramid.” Whilst initiatives such as creating a third tier European club competition may help, the clout which top clubs have and the growing threat of a European Super League may make any drastic changes unlikely. 2017 saw the highest revenue increase in history, with more than €1.6 billion revenue added.